John Robert Bickmore Sr., 65 , of West Jordan, Utah passed away in the arms of his wife Barbara and surrounded by family on February 5, 2014, at home of an extended illness . He was born on March 10, 1948 in Los Angeles, California to Robert Carver Bickmore and Kate Charlotte Bisbee. John served in the New York, Cumorah Mission. 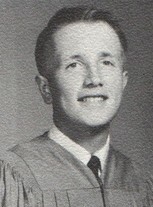 He married the love of his life, Barbara Lynn Culp, Aug. 20, 1971 in the Salt Lake Temple. Graduated from BYU in 1974 with a degree in Communications. Graduated from the University of Utah in 1989 in Elementary Education. He was a beloved and gifted teacher for hundreds of children throughout the Jordan School District. He was the proud father of four children and grandfather of 13. He cherished opportunities to teach his family about the Gospel of Jesus Christ and our eternal destiny. John is survived by his wife, Barbara; children, Gillian (Greg) James, John Robert (Jennie) Jr., Stephanie B. (Mike) Taylor, Benjamin David (Jamie); 13 grandchildren; brother, Charlie, and sister, Susan. He was preceded in death by his parents. We would like to thank the many skilled doctors, nurses, CNA's and staff at Intermountain Medical Center for their loving care of John and his family. A special thanks to Lori. We would like to thank the family who donated the liver that gave us a year and a half more with Dad. His children would like to thank their mother for the devotion and loving care of Dad. Mom, you're a ROCK STAR! We love you! Dad, we know that you will be working for our family just as diligently on the other side of the veil as you have in this life. We'll "just keep swimmin'."